Robert Winthrop Newton was a retired US Army Colonel who commanded a helicopter battalion in Vietnam during the Southeast Asian Wars of 1961 to 1973. Born in 1931 in Minneapolis, Minnesota, to the late Kenneth Hudson and Edna Taylor Newton, he followed his father into the Army at posts in Washington, D.C., California and Arkansas. COL Newton graduated in 1955 from West Point, earned a Bachelors and Masters in Aerospace Engineering from Georgia Institute of Technology in 1963, and spent 25 years in the service. In 1967, while serving with the US Army Board for Aircraft Accident Research, he was awarded the Legion of Merit for his investigation of helicopter crashes and development of retrofit kits for fuel cells, which eliminated most crash fires. He received the Defense Superior Service Medal for his work at the Pentagon, Distinguished Flying Cross for rescuing a downed helicopter crew prior to capture, Bronze Star, Air Medal with V for Valor, and earned a Master Aviator Badge. 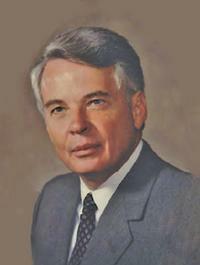 Col. Newton died at the age of 81, on August 21, 2012 at Fauquier Hospital in Warrenton, VA.